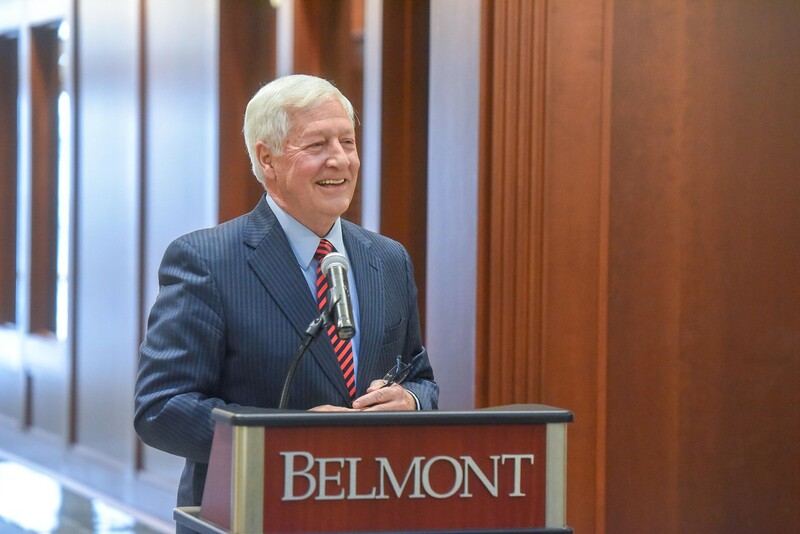 In a recent article put out by Great Value Colleges, the website feature Belmont President Dr. Bob Fisher in its listing of “U.S. Colleges With The Best Presidents: These 50 Current College Presidents Are Outstanding!” Dr. Fisher came in at No. 48 on the list citing the growth he has helped Belmont achieve. The article also discusses Dr. Fisher’s encouragement of students and the University at large to be involved with the community. The ranking was made based on research from articles of similar nature and topic that looked at U.S. college presidents. Great Value Colleges also ranked the presidents based on overall level of achievement, innovative leadership approach, commitment to their college and evidence of having a positive impact on their college.